Lake beds like those explored by Nasa's Curiosity rover show water was present on the surface of Mars in the past. "It's probably not a very large lake," said Prof Roberto Orosei from the Italian National Institute for Astrophysics, who led the study. Marsis wasn't able to determine how thick the layer of water might be, but the research team estimate that it is a minimum of one metre. "This really qualifies this as a body of water. A lake, not some kind of meltwater filling some space between rock and ice, as happens in certain glaciers on Earth," Prof Orosei added. 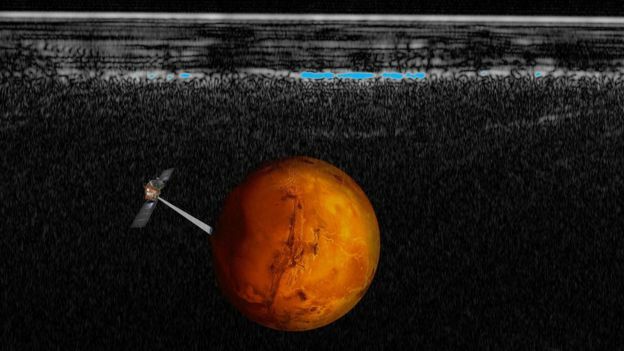 Artists' impression: Mars Express probing the planet's surface. Marsis radar results above. "In light blue you can see where the reflections from the bottom are stronger than surface reflection. This is something that is to us the tell tale sign of the presence of water," says Prof Orosei. Dr Manish Patel from the Open University explained: "We have long since known that the surface of Mars is inhospitable to life as we know it, so the search for life on Mars is now in the subsurface. "This is where we get sufficient protection from harmful radiation, and the pressure and temperature rise to more favourable levels. Most importantly, this allows liquid water, essential for life." This principle of following the water is key to astrobiology - the study of potential life beyond Earth. So while the findings suggest water is present, they don't confirm anything further. 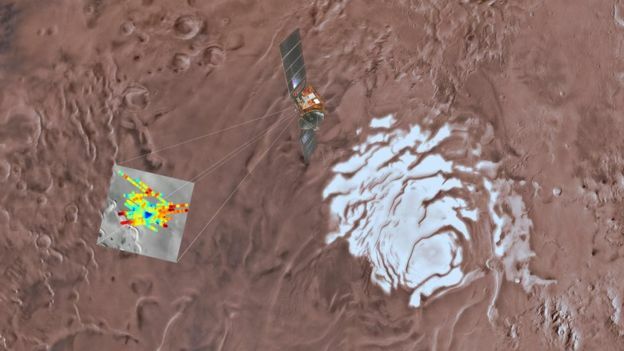 "We are not closer to actually detecting life," Dr Patel told BBC News, "but what this finding does is give us the location of where to look on Mars. It is like a treasure map - except in this case, there will be lots of 'X's marking the spots." The water's temperature and chemistry could also pose a problem for any potential martian organisms. 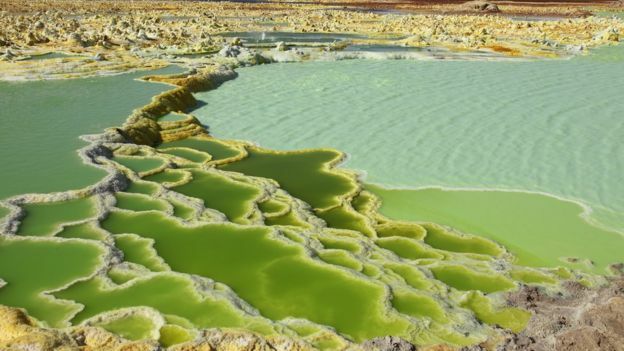 "It's plausible that the water may be an extremely cold, concentrated brine, which would be pretty challenging for life," explained Dr Claire Cousins, an astrobiologist from the University of St Andrews, UK. 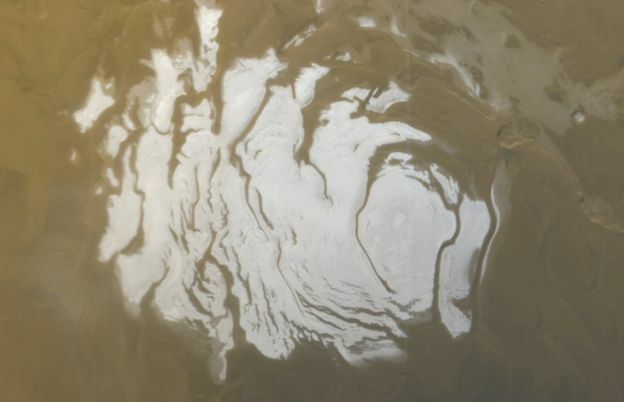 While its existence provides a tantalising prospect for those interested in the possibility of past or present life on Mars, the lake's characteristics must first be verified by further research. "What needs to be done now," explained Dr Matt Balme from the Open University, "is for the measurements to be repeated elsewhere to look for similar signals, and, if possible, for all other explanation to be examined and - hopefully - ruled out. 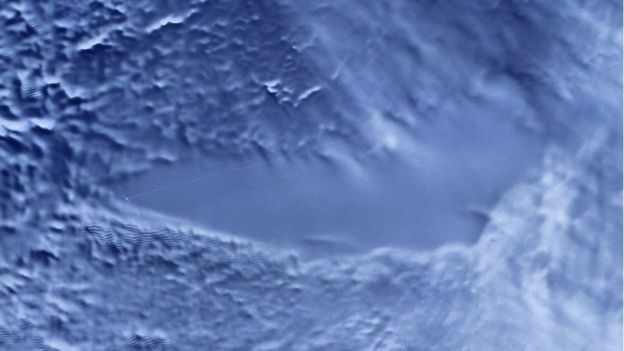 "Maybe this could even be the trigger for an ambitious new Mars mission to drill into this buried water-pocket - like has been done for sub-glacial lakes in Antarctica on Earth," he added. "Getting there and acquiring the final evidence that this is indeed a lake will not be an easy task," said Prof Orosei. "It will require flying a robot there which is capable of drilling through 1.5km of ice. This will certainly require some technological developments that at the moment are not available."